5 Diet Myths That You Should Forget! We have all been suckered into the latest diet trend that promises to melt the fat and pack on the muscle! When we see these marketing campaigns we know its to good to be true but we choose to believe it because we want the quick fix! There are a few simple rules we should follow when it comes to dieting, losing weight and packing on the muscle! 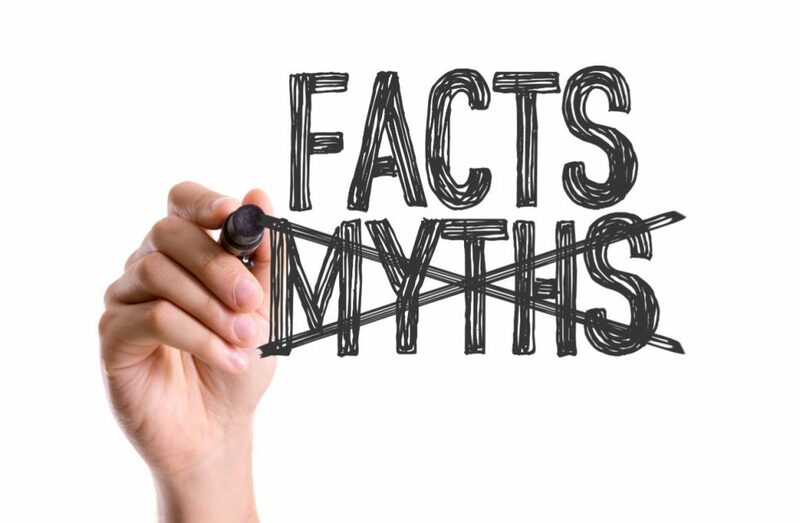 However there are some myths that you should stay well clear of! 5 diet rules you can say goodbye to! 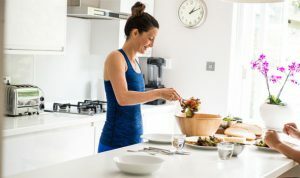 Some of us believe that if we ate late, in particular carbs after 6pm, we will pile on the fat in all the wrong places. What we really need is calorie management, so it doesn’t matter when you eat them. If 2000kcal was your total calorie allowance for the day, it does not matter what time of the day these are consumed, If you like to eat late at night then do so! 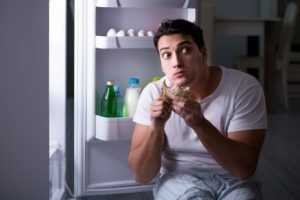 However if you make a habit of eating over 2000 calories late at night then you will put on weight. It actually can be the opposite. Skipping a meal can be detrimental to fat loss goals. When we miss meals, we tend to be so hungry at the next meal time that we overeat. This will leave you bloated, lethargic and create bad habits. 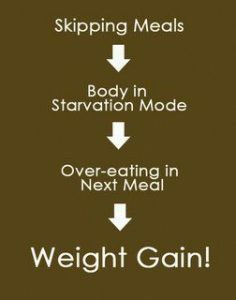 Now if you skip a meal and can avoid overeating or snacking on hyper caloric foods then skipping a meal will help create a calorie deficit but most of us will make bad food choices when we are hungry! We need our diet strategy to be sustainable so we can adhere to it. In today’s busy world, it is almost impossible to eat at the same time every day. Our schedules simply don’t allow it! We should eat when we are hungry, not when the clock says it’s time to eat. Remember, often when you think your hungry, your body is actually thirsty. If we eat foods that are calorie dense and not satiating then we won’t feel full and will be likely to delve into the staff biscuit tin! 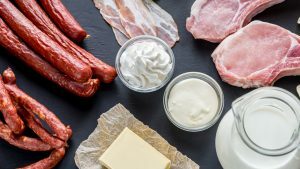 High protein diets with lots of veggies are likely to keep us fuller for longer and provide the body with the building blocks and nutrients it needs. All calories are equal. This is somewhat true, but…. you’ll get more nutrients from 100-calories of broccoli than from 100-calories of chocolate brownie. So you shouldn’t just put all your efforts into calories. Carbs, Protein, Vitamins, Minerals and Fats should all be considered when prepping your meals. It is good practice to choose healthier meals if you are losing weight, building muscle or controlling your hunger. Relying on a ‘low-fat’ foods, doesn’t mean it is low in calories! 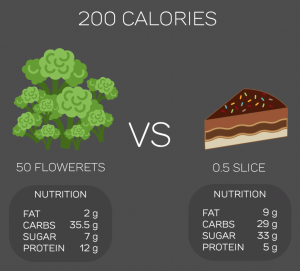 We should know by now that calories are pivotal to weight loss/gain. Dietary fats are essential to give your body energy and to support cell growth. They also help protect your organs and help keep your body warm. Fats help your body absorb some nutrients and produce important hormones, too. Your body definitely needs fat. So there you have it, myths thrown in the bin! Why is fat loss so hard if the answer to it is simple?